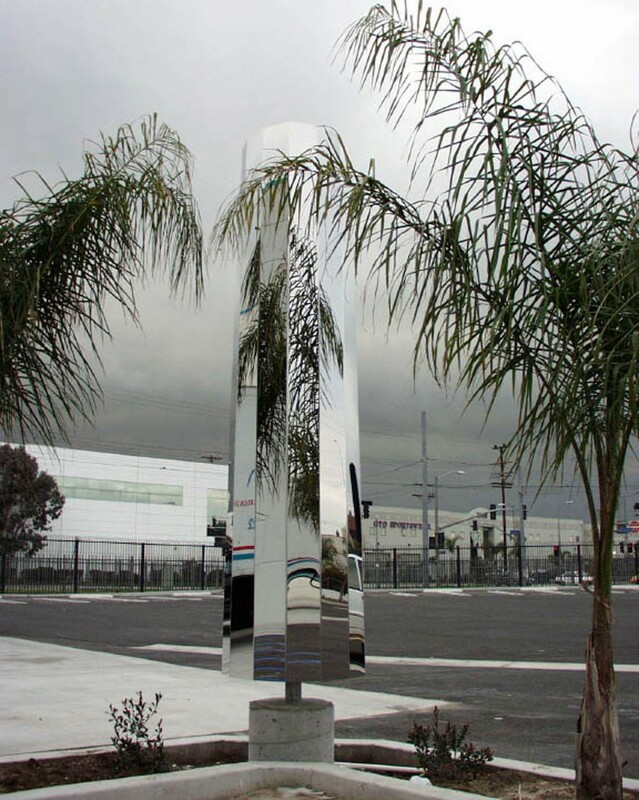 Two faceted, mirrored 10-foot columns reflect both the environment and adjacent palm trees, creating a kinetic, strobing visual effect. Like many of Tzanetopoulos’ mirrored earthworks, these hand made mirrored towers reference a humorous take on pressing ecological issues, in this case, the paving over of green in the inner city -- and the need to ‘green’ the inner city. A grove is only a grove because it adds multiple reflections of what should be more present in inner city development. 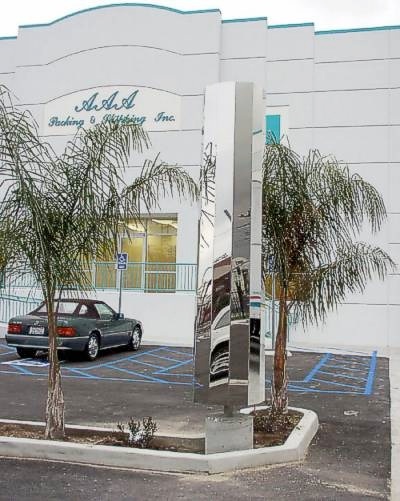 One of two faceted, mirrored 10-foot columns on site at AAA Packing and Shipping, Los Angeles, CA.